To mark the landmark development, Myanmar government is organising an opening ceremony of “International border of Myanmar-India” at Tamu town of Myanmar on August. Myanmar government is all set to provide visa on arrival facility with effect from August 8 by suspending the special land entry permission which was formerly required for visitors entering the country via land routes. The Myanmar government decided to take this step in a bid to promote tourism and improve business ties with other South East Asian countries, according to official sources. 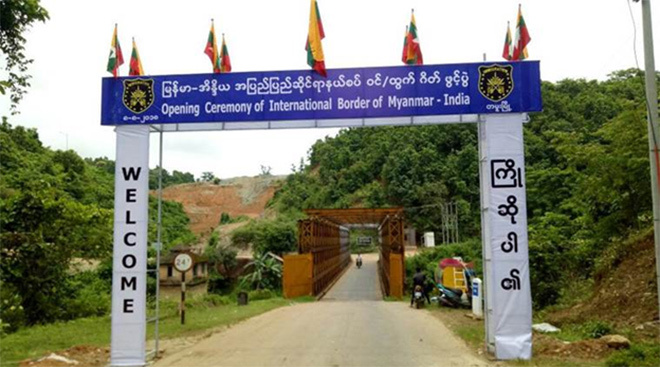 To mark the landmark development, Myanmar government is organising an opening ceremony of “International border of Myanmar-India” at Tamu town of Myanmar on August 8, the preparation for which is almost over, sources informed. It is learnt that Myanmar’s Ministry of Labour, Immigration and Population Permanent secretary U Aye Lwin and Consul General of India in Myanmar Nandan Singh Bahisora will attend the function. Four officials from Manipur will also take part in the opening ceremony including Laxmi Kumar, transport commissioner, P Vaiphei IAS principal secretary of Textiles, Commerce and industries, and R K Shivchandra convenor Act East Policy Committee, Manipur. With the same objective of promoting mutual business ties and tourism, India had also started the construction of an Integrated Check Post (ICP) at Moreh Town which is also known the Eastern Gate of India but it is still incomplete. With the official opening of this route, it will surely enhance the communication system and international relations between the two nations, said R K Shivchandra, convenor Act East Policy Committee, Manipur. Shivchandra noted that there were difficulties to travel to Myanmar as a result of the permit system. However, this problem will be made simpler for the Indians with the issuance of e-visa in a short period, he said adding that the Act East policy Committee will provide assistance for acquiring a visa in Imphal. Earlier Indians travelling to Myanmar had to hire a licensed guide costing about 60 dollars a day, in addition to the land route permit from the authority. But this permit system would be abolished on August 8. “If one possesses a passport one can get visa within two days time minus the burden of special land route permit”, said R K Shivchandra.